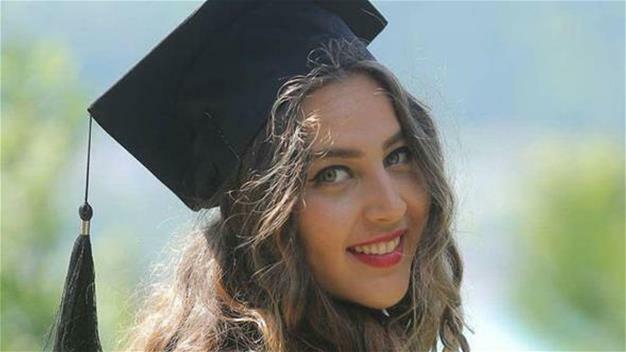 A prominent Syrian opposition activist named Orouba Barakat, 60, and her journalist daughter Halla Barakat were found murdered in their home in Istanbul’s Üsküdar district on the night of Sept. 21. The incident was allegedly discovered when Halla Barakat’s friends came to their home after not being able to reach the 22-year-old. After no one answered the door, they notified the police about the situation, who had the door opened with the help of a locksmith. The police homicide teams then found the dead bodies of the Syrian activist along with her daughter. After an analysis, the police determined the two women were stabbed to death about two or three days ago, and their throats showed traces of being strangled. The murder suspects were also determined to have poured detergent over the women’s bodies to prevent odor. The bodies were then taken to the institution of forensic medicine. Barakat was a well-known figure, especially for her articles on Syrian opposition figures exposed to torture in the country’s prisons. She reportedly first fled to the U.K., then Saudi Arabia and finally to Istanbul after the Civil War broke out in Syria. The activist was reportedly working as an editor for Orient News, a Syrian media group owned by Syrian businessman, journalist and opposition figure Ghassan Aboud, based in Dubai. Meanwhile, a neighborhood resident spoke with reporters about the murder. “We saw the police at the door [of the Barakats’ home]. They had killed the mother and the daughter by cutting their throats. Since it was night, we do not have much information either. They are said to be Syrians,” they said. “They had poured lime over their bodies and their beds, as far as we have heard. It has been said their corpses were in the home for four days. They were nice people and did not harm anyone,” another neighborhood resident was heard saying. The police launched an investigation into the incident to catch the assailants.